Conducting a regular SEO audit on your website is massively important. Yet, so many entrepreneurs, marketing professionals, bloggers, and digital businesses don’t do it. Doing only half the job won’t get the results you want. SEO requires a complete effort and approach. In this article I lay out a straight forward 15-step process to doing a very thorough SEO audit for your website. To increase organic search traffic you must be thorough and consistent with your SEO work. This can be challenging. There are so many details and steps to implementing an effective SEO strategy. This checklist will keep you on track! I recommend that you do an SEO audit of your website every month. It will force you to do the work. Eventually you will become aware of everything you need to do. The SEO website audit will become part of your entire work flow. You will see the organic search traffic flow in to your site and rankings improve. 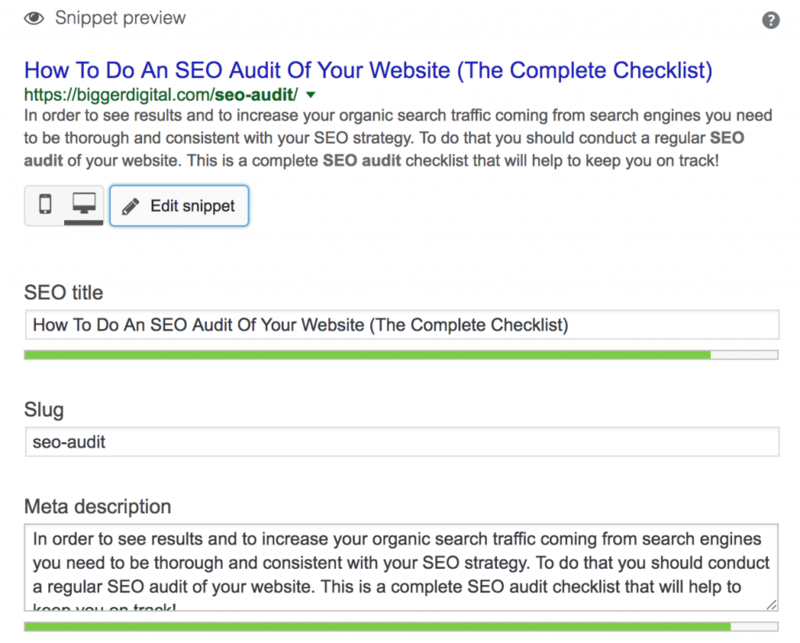 Bookmark (or save to Pocket, or email it to yourself) this SEO audit checklist right now. Refer to it when you do your monthly audit. Check each item off over time. These are the mission critical SEO tasks/tactics you must be doing or addressing on a regular basis. Some may seem totally obvious but you would be surprised to know how many people/companies turn a blind eye and do not bother doing the work. Meanwhile they expect constant flow of organic search traffic and wonder why they aren’t getting any. Fast page load times are key to improving your rankings in Google. Most people are using their phones to find and consume content online. Thus, your website must be super fast! How do you get faster and increase page speed? 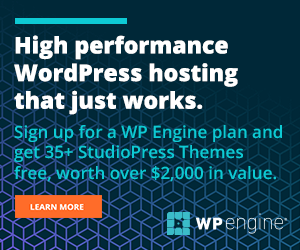 I can’t stress how important a reputable and high performance hosting package is for SEO and business. Avoid the ultra cheap hosting plans. They are just a rip off. If you intend to grow a profitable business you simply can’t use these offerings. I know because I learned the hard way. When my first website surpassed 500,000 page views after 6 months the cheap shared hosting could no longer handle the traffic load. I had to change my hosting. Not only was my site loading slow as a tortoise but the ads on my site couldn’t load properly. So, I lost money for a week until I made the upgrade. AVOID this scenario and upgrade now. Cheap hosting is not an advantage. High performance hosting is an advantage. Plus it is a business expense that will help reduce your taxable income. Bonus! Page speed is huge for 2018 and beyond. That is why I have it as number 1 on my SEO audit checklist. Plus, I know that most websites do not load fast. Almost every single client that I do and SEO audit for fails at page speed. I can tell you that if you do have a site that loads super fast you will have a big advantage over your competition. 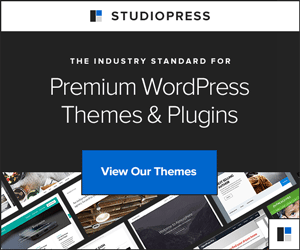 Studiopress themes are the best WordPress themes money can buy. They are my only recommendation. I prefer Studiopress because they load very fast (under 1 second), are mobile responsive, the HTML code is clean (not buggy) and more secure, offer some great SEO features (for category pages) that other themes do not, are easy to customize (using Simple Hooks and other plugins), offer great support. 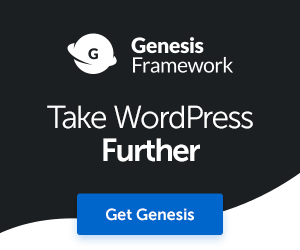 If you are not using WordPress perhaps you should. It is free and functional for most bloggers, entrepreneurs, and businesses. Learn how to start a blog on WordPress. To increase your organic search traffic you need to understand your audience better and how they search for the content, products and services that you offer. You must do your keyword research. Craft a deliberate content strategy. Seems so obvious. However, almost every single business I have worked with in the past plus all my most recent SEO clients were not using keyword research tools or doing any form of keyword research. Either they were not aware of the tools or they were frightened off by the cost. I can tell you right now that the monthly or annual cost of the best keyword research tool SEMRUSH will produce a positive return on investment. Whether you rely on advertising, affiliate sales, or private sales of your own products and services, using a keyword tool like SEMRUSH will generate more revenue for your business. I encourage you to take it for a test drive. You can do a free trial to see how it works. Read more about SEO content strategy here on my blog. Or get the gold in my Power SEO course where I go deeper on content strategy. Your main objective with keyword research is to cover all topics of interest to your audience. Create a list of main topics also known as seed keywords. Break those down into sub-topics. These topics and sub-topics can be used to create your site structure. Or, use them to structure your longest most comprehensive “guide style” articles. I like to use the sub-topic keywords in my headings and sub-headings to break up articles into easily read chunks. The SEMRUSH Keyword Magic feature allows you to quickly and efficiently create spreadsheets of seed keywords, sub-topics, mid-tail keywords, and long tail keywords. It is amazing. It used to take days (or at least several hours) to organize keywords. Now it takes only a few minutes! Okay, some more high level thinking. Google tossed out their desktop index. The search engine really only cares about mobile now. Why? Most traffic is on phones. So forget about what your site looks like on desktop. It is quickly becoming irrelevant. How does your site work on a phone? Do you have good/great UX? Make it a snap for your audience to navigate and use your site on a small screen and you are golden. It is a big adjustment in thinking but it is hugely important. Responsive design is mandatory. Progressive web apps (PWA) are next. Okay, now it is time to get into the details. The nitty gritty of SEO audit tasks and SEO tactics that you should focus on doing. The SEO title or title tag has been important (massively) since day 1 of my SEO career. It has been one of the most important SEO ranking factors since the mid 1990s. The meta description to a lessor extent but it is becoming more important these days. Google uses the SEO title and the meta description to generate search results. Leverage them to control how your organic listings appear in organic search. Are they unique for all your articles and category pages? Are they enticing/compelling? Will they generate high click-through rates? The Yoast SEO plugin snippet preview makes it super easy to visualize how your page will likely appear in Google. It is located below your article text in WordPress. Let’s take a look at the snippet preview for this article. Make sure you fill out the snippet preview for every single page on your website. Never leave your SEO title or meta description blank. Why are the SEO title and meta description so important right now? You can influence click-through rates (CTR) on your Google search results massively by crafting some super duper SEO titles and meta descriptions. RankBrain is artificial intelligence or AI used by Google to evaluate the search results in real time. One of the key ranking signals of RankBrain is CTR. Start experimenting with your SEO title and meta descriptions to get an understanding of what leads your audience to click on your organic listings. What is working for my site pages? Leverage your Google Analytics and Google Search Console reports. Review pages that are currently getting your highest CTR’s. Zero in on the SEO titles and meta descriptions. Can you apply your findings to other pages? Isolate pages that are showing low CTR (under 1 percent) and higher impression counts. If you are seeing click-through rates under 0.5 percent you have an opportunity to experiment with your SEO title and meta description to increase traffic to your site almost instantly. Make sure that the SEO title and meta description match the search intent. Of all the items on this SEO audit checklist this may be the easiest task that will improve your SEO and increase your organic search traffic the most. And quickly If you have not been creating spectacular title tags and meta descriptions, or even worse leaving them blank, you have a huge opportunity to increase your organic search traffic. Take the time to create unique and compelling tags for every one of your pages and watch your traffic grow. Creating great SEO titles and meta descriptions is low effort high reward. Create a site structure that allows your pages to be found and indexed easily. Avoid burying your content and keep your hierarchy as flat as possible. Are you linking to other articles on your site that might be interesting? Specifically, are you using text links within the body of your articles? Internal links are beneficial because they increase engagement or dwell time on your site. Your goal is to keep people on your site longer. This is another key ranking signal of RankBrain. Dwell time helps RankBrain determine if a page is useful to a particular query. Use important keywords in the anchor text of your links. If I am linking from one page to another I will look at the headline or title tag text of the page I am pointing the link at for hints of what to use as anchor text. Internal links also spread the power of your external links to your pages. External links are definitely important and influence your rankings. They are a key part of doing an SEO audit. There are always opportunities to get quality external links. I don’t spend much time “link building”. I just don’t like the type of outreach (cold emails) that is typically recommended. And I am not so sure how effective it is either. I get emails all the time from people asking to do a guest post on my main niche site. I almost never respond. The only link building outreach I do is to people I already know. Or websites that are in my industry/niche/market that are on the same level as me. My belief is that if you produce useful content you will get the links. So, I prefer to let links come to me naturally. I do use SEMRUSH to evaluate external links to my site and disavow any toxic links. Take a good look at your content offering and answer these questions. Is your content useful and informative? Do you answer questions and provide solutions? Is the information original and unique? Are your articles better than your competition? Have you done a complete job? Is the information you present accurate? Are you using formatting (headings, numbered/bulleted lists) to improve readability score? So many businesses and publications do not create high value, comprehensive, information rich articles. A tonne of content is short, slapped together hastily, and shows a lack of effort and creativity. There is a lot of fluff (garbage) out there. Why? Because creating good content is really hard to do and very time consuming. If you don’t do the work you don’t get the reward. Avoid writing short articles that lack substance and useful information. Google refers to pages with fewer words (information) as “thin content”. If your site has too many articles under 500 words it could get penalized. Your articles should be at least 1000 words long. Over 2000 words is even better. An essay format is a good format. Your article should have a point or hypothesis and provide an answer or solution. When you write your articles discuss more topics of information. Organize topics by using mid to high volume keywords. Break down sub-topics by using long tail keywords. The more (relevant) topics, sub-topics, mid-tail and long tail keywords that you talk about in a given article will lead to a greater volume of keyword searches triggering the article. It is a simple, straight forward correlation. More research, more topics, more answers and solutions, more keywords brings you more organic search traffic. Do the work. Aim for excellence. Opportunity knocks. Read my how to start a blog on WordPress article to get the full scoop on this and also to observe a good example (it is my longest article). Uploading massive images to your site is not good for page speed. Make sure you optimize your images before you upload them to your site. You likely do not need dimensions greater than 1200 pixels for width/height. Make sure to use relevant and descriptive keywords in both the file name of each image and also the alt attribute (alt text). If your site is on WordPress you can also use a plugin like Imagify to optimize the images automatically as they are uploaded. Make it very easy for your audience to share your content. Social signals influence your rankings. I know this is true. Thus, taking a look at social profiles and social sharing mechanisms is part of my SEO audits. Both paid (say via Facebook ads) and organic social shares (Pinterest) will help to improve your rankings. I use Sumo to increase social sharing. You can use it to allow your audience to share links and images. Get active on Facebook, Twitter, Pinterest, Linkedin, Instagram and Youtube. Build a following. Share all of your content as regularly as you can. I use tailwind to distribute content to Instagram and Pinterest. I manually post to Facebook, Twitter and Linkedin. You should implement HTTPS for your site. It is super easy to implement with Cloudflare and is a side bonus to page speed improvements. Sooner than later most sites will display the green padlock (secure symbol) in Google Chrome. Don’t be left out looking like an insecure (sketchy) website. To me implementing HTTPS is more of a cosmetic advantage. If your audience does not see the green padlock they may back out of your site immediately which will send negative signals to RankBrain. If you have recently made the switch to to HTTPS you will need to eliminate mixed content issues. For example, any internal links you created when your site was HTTP will still exist in your posts. You need to change them to HTTPS. Also, your images will still be pointing at HTTP. All my sites are on WordPress. So, I used the Velvet Blues Update URLS tool/plugin to do a search and replace. Headlines are important for a number of reasons. Make sure that important keywords are used in headlines. I typically use half the headline for keywords and half in a creative way to generate interest and draw attention. This one is pretty simple. When I do an SEO audit for a client website I look to make sure there are relevant keywords used in the URL’s. Also check to make sure that there are not any near-duplicate URL’s that use almost the exact same keywords. If you are using WordPress, in most cases URL’s should be pretty good because they are automatically created from headlines. If you are taking the time to create great headlines you should have great URL’s. Not only do I use SEMRUSH to help me with keyword research, but I also use it to identify technical SEO issues for my site. SEMRUSH is the best SEO audit tool and software that I have used. It makes identifying technical problems a simple task. The tool also helps you do an on-page SEO audit of your site. SEMRUSH saves you so much time. The SEO Audit is an automatic tool. You can rerun the audit whenever you like. You can export spreadsheets of URL’s on your site that have the above issues and pick away at fixing them. So there you have it, 15 key steps to follow when you do an SEO audit for your website. Understand, the SEO audit is not a one time task. It is a continuous process! I encourage you to check in on your on-page SEO, internal/external link strategy, and technical SEO at least once a month. Things can change quickly with SEO. Implementation errors and accidents can happen without you knowing. This is why it is super important to do a regular SEO audit. RankBrain is impacting rankings more and more every day. We talked about it with respect to SEO titles and meta descriptions. Another function of RankBrain is to measure user engagement on your site after a search. Specifically, how much time they linger and how much content they consume. Providing an excellent user experience (UX) will positively influence dwell time and pages viewed per user session. Your goal is to reduce bounce rate and increase the average session duration. Look at your Google Analytics reports and identify pages that have low bounce rates and high average session duration. Understand why performance is good and apply your findings to pages that have higher bounce rates and lower average visit duration. Improve UX. If you would like to take your SEO strategy to the next level check out my Power SEO Course. It is perfect for bloggers, entrepreneurs, small business owners, and marketing professionals that have a beginner to intermediate skill level (or understanding) of SEO. The course is written in a very straight forward, easy to understand, instruction format. The practical examples and tutorials will take you to a more advanced skill level in SEO very quickly. Check it out. I cover all the tactics and strategies that helped me grow a men’s style blog from nothing to over 1 million unique users per month!